Husband said from the beginning that we would be an all-girl family, and we're holding true to it for it now! He's such an amazing girl dad, and I'm really looking forward to seeing him with both of his girls. I think it's going to be the sweetest. And as crazy as Greer is about her daddy, I have a pretty good feeling this little girl is going to feel the same way. Our little family of three is going to be a family of four in 20 weeks, give or take a week. I am in awe that I'm already at the halfway mark in this pregnancy, and June will be hear before we know it. Just yesterday I was telling Greer that Junebug would arrive when the grass was green, the flowers were in full bloom, the trees were full of green leaves, and the weather was warm. She's been happily telling me the markers for baby girl's arrival since. 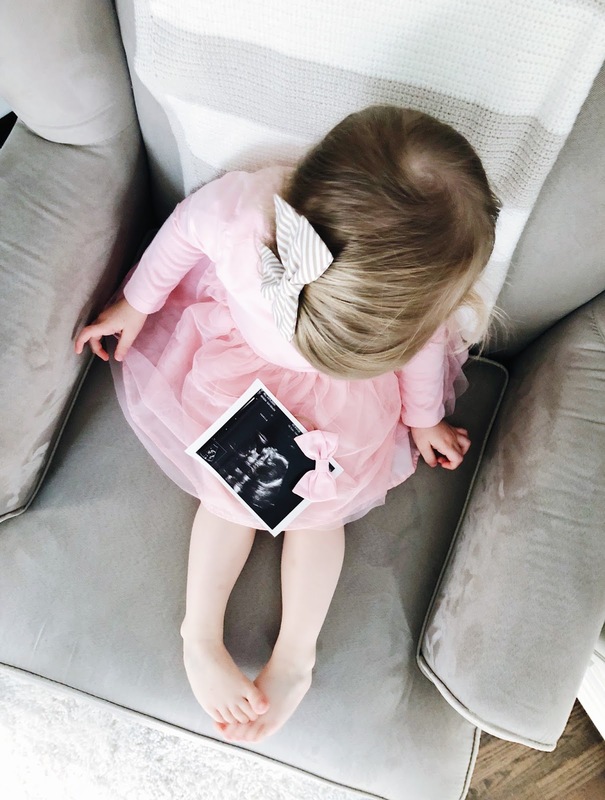 As we prepare for little gal's due date, we have lots to get done....like transforming the office/guest room into a nursery, stocking up on newborn diapers, and getting essential baby clothing for those warmer months. While we have all of Greer's clothes to hand down to baby, they are different seasons. So we'll need to fill the gaps until the sizing evens out. And you know I don't hate the idea of some new baby girl clothes! Here are some of the pieces I've got my eye on!